Of course I envisioned my first post following our family move as a long, profanity laden rant describing all the crap that went wrong during the relocation and what complete hell I’ve been through over the last few weeks. 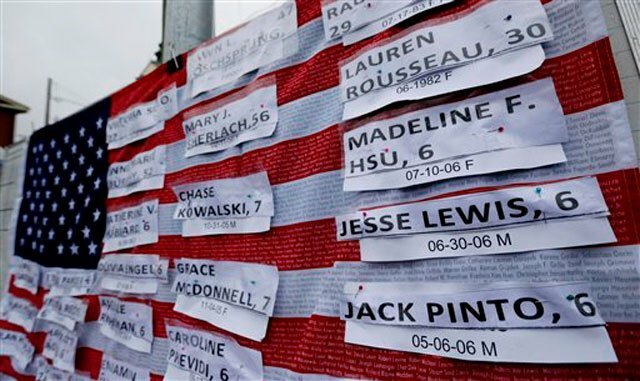 Then, this past Friday morning, on December 14, 2012, as I was just waking The Beans, urging them to roll out of bed and get ready for school, tragedy struck at Sandy Hook Elementary in Newtown, Connecticut. And the lives of 20 mamas exactly like me…..who had, just a few hours earlier, done precisely what I was doing at that moment…became an unimaginable Hell. All of a sudden, my reality paled in comparison, and turned into an idyllic picnic in the park stacked up against what they were experiencing. A cowardly monster armed himself with several guns and walked into the one place we as parents trust, without question, to be safest for our children when they cannot be in our arms. Then he opened fire in 2 classrooms full of 6 and 7 year-olds. 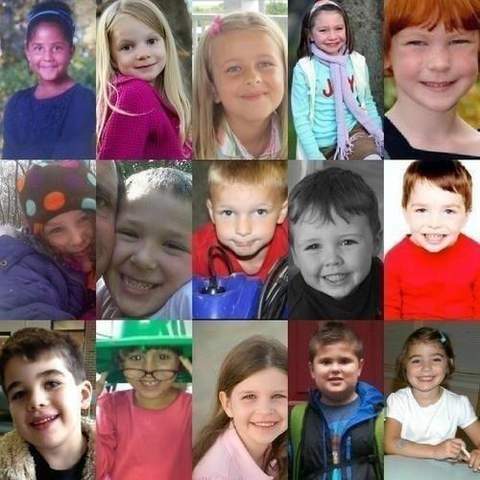 In a flash, those mamas lost their innocent, precious angels as Heaven gained them. Thinking about it takes my breath and replaces it with tears all over again. You see, my Sweet Pea is a bright-eyed, 6 year-old First Grader this year. If not for geography, it could have been her classroom. Two years ago, it could have been my Butter Bean, and although it’s been 6 years since Sugar Bean started her school journey, I still shudder at the thought of how little she was, and how naive I was, as a young mother, to the evils threatening this world. Excuse me while my mind races, and I throw up, rethinking every decision I’ve ever made as a parent. As a Christian, I have been told that God has a plan, and I shouldn’t question it. However, as a mother, I am screaming to the top of my lungs “WHY, GOD, WHY??! !” No matter the answer, it will not satisfy the question. There is no acceptable response, no silver lining, no lesson that needed to be taught by such a horrific example. Honestly, until Friday, I firmly believed in the Second Amendment of Our Constitution, which states that we as citizens have the right to keep and bear arms, and therefore was on the fence with regards to gun control. Well, I’m here to say, I am no longer a fence-rider. The first time a school/mall/theatre shooting happened was one too many. Something must be done to make it impossible for this to ever happen again. Period. WHAT PRIVATE CITIZEN NEEDS FOUR WEAPONS TO PROTECT THEM? The answer, is none. That’s why we have policemen. To serve and protect us. Yes, I am aware of a thing called ‘response time’. Fine. If you must own a gun in order to feel like an American, then you can have ONE…a double-barrel shotgun. It’s intimidating enough to defend your property and family without allowing the power of semi-automatic and automatic weapons representative of a military presence into the hands of individuals who likely shouldn’t have it. Plus, you can hunt with it, so you won’t starve if it comes to that. There must be rules though. Let’s start by only allowing you to purchase one after an extensive background check and psychological evaluation, accompanied by mandatory classes on gun safety and proper handling/storage of weapons. Oh, and you may only buy enough ammunition as is reasonable. No need for a stockpile. The police will be on their way to protect you from harm before you could aim, shoot, fire and reload more than once. I believe this is more than fair. You can own your gun, thereby preserving your Constitutional right to bear arms, while I feel confident knowing it’s okay to send my babies to their safe place day after day and know they will return home, as alive, full of energy and excited as they were when I dropped them off that morning. Deal? Because let’s face it…there is nothing more precious than the life of a child, and no Constitutional right worth the loss of it. If you are beyond livid about gun control or mental health care, please contact your state or local representatives and elected officials, who may have the influence to make a difference and prevent further tragedies from happening. Don’t forget to follow me on Facebook, and Twitter! If I made you laugh, please click the banner below to vote for me on topmommyblogs.com! There’s no need to be shy – you can vote for me once a day! Leroi, the day he joined our family, at 16 weeks old. A year has come and gone. Flown by, in fact. Today marks the second of two very sad anniversaries. The first was April 27, a devastating day in 2011 that changed the lives of many friends and family members as well as so many others back home in Alabama. You can read about that here. Now I am looking square upon the anniversary of a less destructive, yet equally painful day. The day we bid farewell to our beloved, furry family member, Leroi. Leroi became part of our family in May 2005, after I found a photo of him online and decided I had to have him! Off I went to a place called Puppy Playground, located in the eastern part of Los Angeles. Shortly, I returned home with him, and I must say, at a tender 16 weeks old, he was one of the cutest puppies I had ever seen, in both looks and personality! So adorable in fact, his picture was chosen to be among a group of photos featured in the credits for the Disney film “Shaggy Dog”. The Man happened to be working on that project when we got him, and showed off his picture. That’s how he got the gig…lol 🙂 If you haven’t seen it, you should. And look for Leroi at the end. It’s the same picture shown above. He would surely wag his tail at that!! So. The story of his name. Kind of a no-brainer, for those who know me best and are aware of the things I am passionate about. He was named for the late LeRoi Moore, the former saxophonist for the Dave Matthews Band. 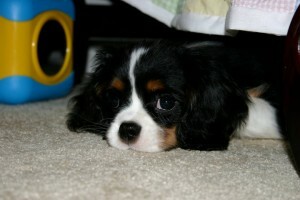 You see, the meaning of the name Leroy is “king”, and his breed is just that: Cavalier King Charles Spaniel. Also rather ironic, is that our Leroi’s last home on earth was on Moore Street, where our family moved a year ago. Although we had 2 other precious doggies when we got Leroi, he was quite special. Rarely did he bark, and he never met a stranger. Whenever someone came to the house, he would wag his entire body with excitement! Our cue to let him out to potty was the sound of his wagging tail banging against the water cooler beside the door, so loudly you couldn’t ignore it. Oh how I miss that sound! A very smart doggie indeed, but somehow I could never teach him to fetch like our little miniature Dachshund, Edie. But I digress. Leroi was very sick for the last years of his life. Almost 4 years ago, he was diagnosed with diabetes, as the result of obesity. Hard to keep scraps away from the furry friends when toddlers are in charge of food and delight in sharing when you aren’t looking. Unfortunately, Leroi was more than willing to share in their joy of giving, and the overindulgence in snacks caused a severe case of pancreatitis, and thus, diabetes. When he fell ill, we rushed to our vet, giving her instructions to do whatever was necessary to save him, regardless of the cost. He was one of our children…just a canine one. At only 3 years old, he deserved a chance. We prayed to God, a miracle was granted, and he pulled through. After two shots a day for another 3 years, the disease got the best of him, taking its toll on his system, causing him to be 100% blind and to have a heart attack. Strange how very similar animals and humans react to the same diseases over a span of time. He got very sick in the midst of my massive relief effort for the Alabama tornado victims. Again, we rushed him to the vet, where he spent 2 full days trying to recover. They stabilized him enough so he could come home, but the outlook was grim and we were told it would only be a matter of time before his body gave out. The Man and I agreed we would not be selfish when we knew it what had to be done. He would not suffer. The time came on Mother’s Day of last year. Of all days! Rather ironic, considering he had been my Mother’s Day present (to myself) 6 years earlier. It was an extremely challenging decision and an emotional time. The Girls were very sad and crying, but were able to say goodbye which was important, it being the first time they had been through the loss of a pet. I was beyond consolation. My friends, Kim and Ray drove me and Leroi to the vet, where I held him as the staff helped him pass into Heaven. He went peacefully with no resistance. He wagged his tail just a bit and drew in his last breath as I cradled his head, whispering “We love you” repeatedly. It was time, and he let me know it was okay to let him go. The only thing I can compare it to is being in the room with Mama when she passed. As she took her last breath, with her eyes closed, she exhaled with a big smile on her face. She was with Daddy, and wanted us to know. Peaceful, loving closure to a very full life. 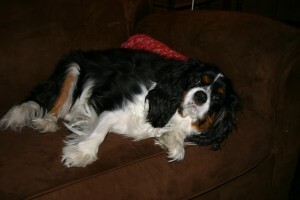 All dogs go to Heaven, so I have no doubt that Leroi…and now Lester…are with my parents. We decided to have a private cremation and to keep his ashes until we know where we would like him to rest eternally. I made a call to Very Important Pet Mortuary in Venice, California. Carol is the sweet lady I spoke to about the arrangements. During the course of the call, she inquired about my Southern accent and asked where I was from. When I said Alabama, she asked if my family was okay. I told her yes, and spoke of my relief efforts through the newly formed cause, California for Alabama, and how the timing of it all was just so tragic and difficult. With that, she said she would like to help the cause by donating her services. In turn, I would donate the fee to the relief efforts. Of course, I agreed, and am happy to say that in loving memory of Leroi, who only knew love and companionship, the relief resources were increased a little. In life, when it rains it pours, both good and bad, but most often from storm clouds, right? What EXACTLY Did You Do?! Bama born and raised. Transplanted to Los Angeles. I've got roots AND wings, what can I say? I'm a SAHM to The Beans, wife to The Man. Great at connecting dots that randomly appear in front of me. I write about my life with the filterless voice of a true Southern girl. Notice I didn't say Belle or Debutante. You get the picture, right?